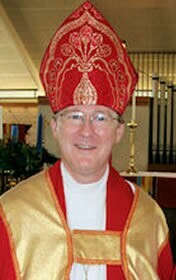 Virginia Episcopal Bishop Shannon Johnston on March 15 defended his sponsorship of a diocesan event hosting radical Jesus Seminar writer John Dominic Crossan even though he called some of Crossan’s beliefs “offensive.” Meanwhile, a prominent Anglican pastor of a former Episcopal church in Virginia has severed his “peacemaking work” with Bishop Johnston over Crossan. The controversy was originally sparked by a report of Crossan’s presentation at a Northern Virginia Episcopal church by IRD Anglican staffer Jeff Walton. As Crossan referenced in his talk at the church, he does not believe in Christ’s divinity, virgin birth or bodily resurrection, nor does he believe in an afterlife or any personal deity. Instead, Crossan believes Jesus launched a quiet political revolt against the Roman Empire, and the beliefs about His deity were created by the early church in later years. A former Catholic priest and professor at DePaul University, Crossan has long served on the once prominent Jesus Seminar, a group of very liberal scholars who gained headlines in the 1980’s and 1990’s for denying the supernatural aspects of the New Testament. Now mostly retired, Crossan still appears on PBS and cable television shows about Jesus. Meanwhile, Truro Anglican Church pastor Tory Baucum of Fairfax, Virginia released his own statement on March 14 explaining why he was ending his “peacemaking work” of reconciliation with Bishop Johnston. Truro Church was one of about a dozen former Episcopal congregations in Virginia that quit the Episcopal Church in recent years over that denomination’s departure from theological orthodoxy. Most of these churches lost their properties amid multi-million dollar lawsuits, although Truro continues to meet at its building by temporary consent of the Virginia Diocese. Baucum said his “peacemaking” was based on creedal Christianity and the belief that every individual carries God’s image. He called Crossan’s work a “contradiction of Nicene faith,” and hosting him as a church speaker would “undermine Nicene Christianity.” He also called Crossan’s “theories” lacking “support in fact and scholarly analysis.” Although “he appears to have come as a Christian teacher,” in fact “he is not,” Baucum said. With the “advice and counsel” of Bishop John Guernsey of the Mid-Atlantic Diocese of the Anglican Church in North America, Baucum is “ending this work” of reconciliation with Bishop Shannon.